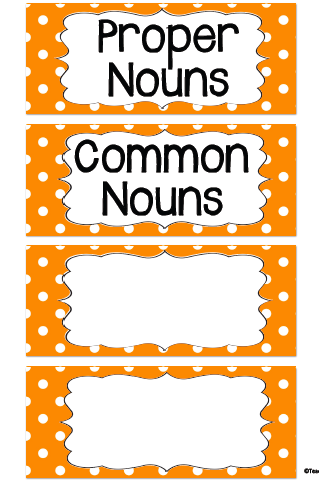 Are you looking for a common and proper noun activity? I made a sorting activity that you can download for free. It has a Halloween theme. 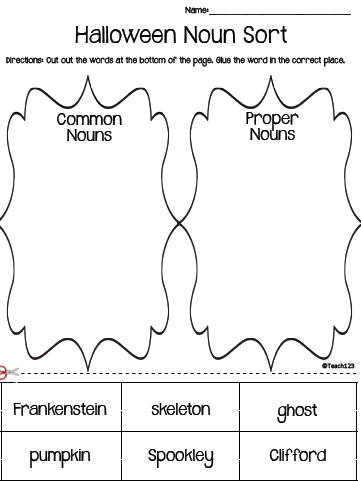 After reading your favorite Halloween story, ask your students to list common and proper nouns from the story. These signs are included in this packet. You can laminate them so you can use them each year. After making a list of proper and common nouns, students may do this extension worksheet or it can also be assigned for homework. Thanks for sharing this nice post. Proper nouns are one of the most essential parts of the English language, so Learn proper nouns to improve English Language skills.